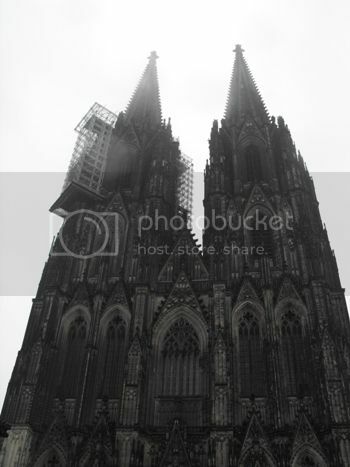 During WWII the cathedral suffered multiple hits from allied bombs. The building did not collapse, but stood tall in the otherwise flattened city. Main entrance of the cathedral with 19th century repetitive decorations. 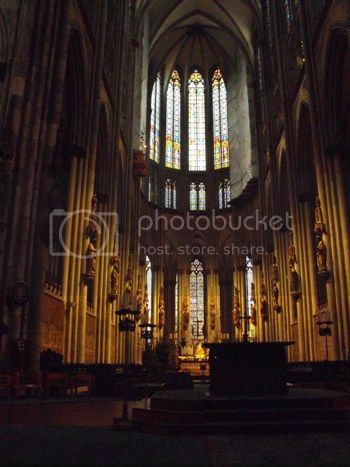 The choir of Cologne Cathedral with at the end the main treasure of the cathedral: the 12th century shrine of the Three Kings. The carved choir stalls are originally medieval (1310). 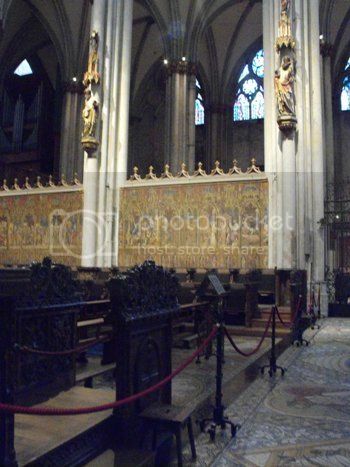 The back wall behind the choir stalls is made of painted masonry screens from the 14th century. 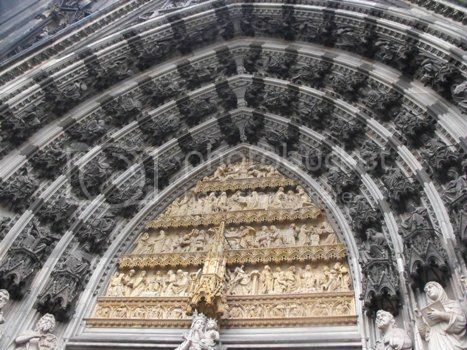 On the piers of the choir are 13th century statues of the 12 apostles, Jesus and Mary. The nave looking west. 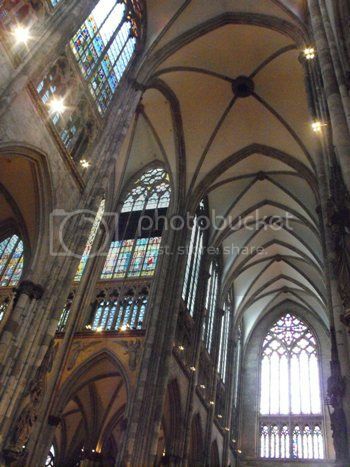 Most of the stained-glass windows in the nave are 19th century. 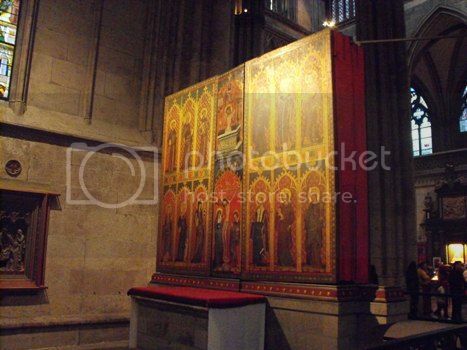 Altar of the Poor Clares, a winged altar piece (here it is closed) from 1350, was originally located in a Fransiscan church in Cologne, but transferred to the cathedral when that church was demolished. 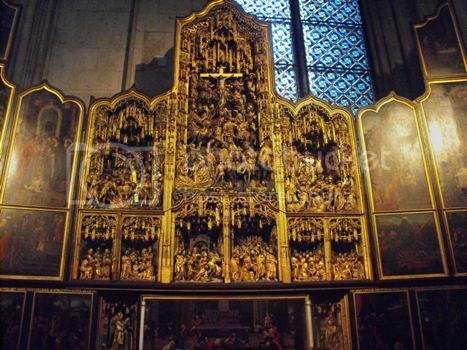 Altar of St. Agilulfus, a polyptych from the early 16th century. Thanks for sharing. I missed the chance to go to Cologne when I was in Germany. I went to the Christmas market there last year (it's quite close to The Netherlands, only 3 hours by bus) and also took the time to visit the cathedral.